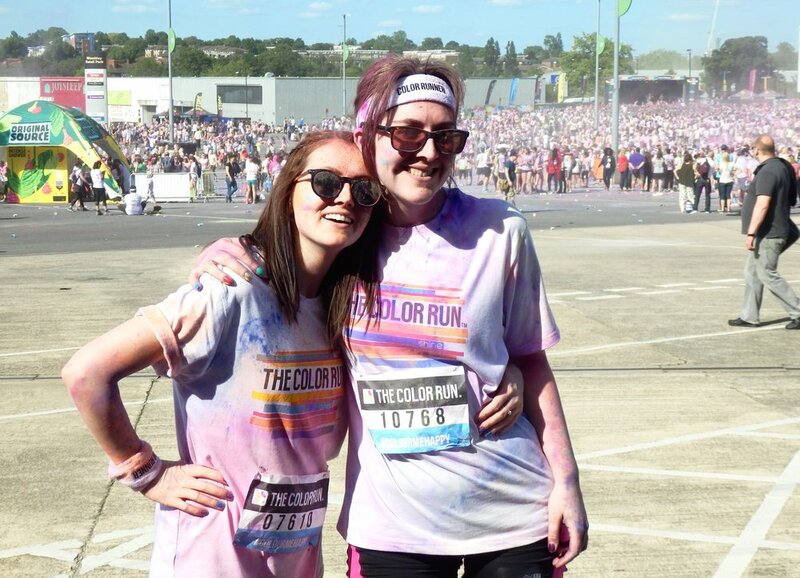 After being substituted into it last minute due to a knee injury (not mine, thankfully) I was to do The Colour Run 2015! Having done no training. At all. The Fear set in pretty quickly as I was tattooing and glittering up before the race. However as soon as you get there you realize how fun, physically satisfying and downright crazy the event is. It's a 5k race (the last time having done one, when I was 14 for the Race for Life. 9 years later, ahem...) and people are wearing deedy-boppers, tutus; you name it, people were wearing it. 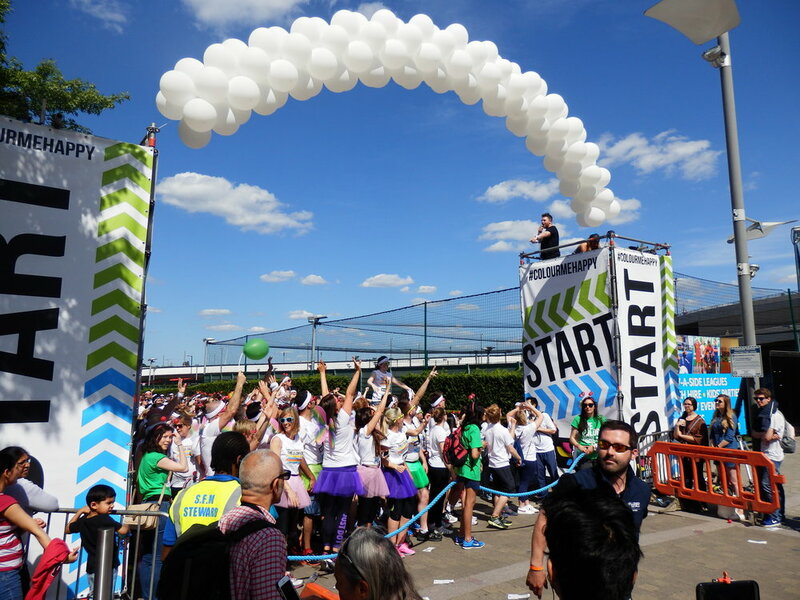 With Capital FM rolling out the tunes, people cheering and dancing, you very quickly get swept into the same vibe as the other 19,000 runners. It was such a lush day for running and after being in the long queue (so British), we were off! Slowly, may I add, and trying to get out of the way of annoying tween girls walking and just taking selfies every two seconds of the dye, we stuck to the course and took it at our own pace. Every 1k we were bombarded with dye; pink, orange, green and blue and thank god we had our sunglasses otherwise I may have come out of it as a very blind rainbow. We got to the end where you're given a dye pack to have one last throw and dye session, and you're greeted with water, super cold cranberry juice (with Ocean Spray being the sponsors), music being played on a massive stage and freebies all around of Original Source shower gel (hello holiday minis) and more dye. 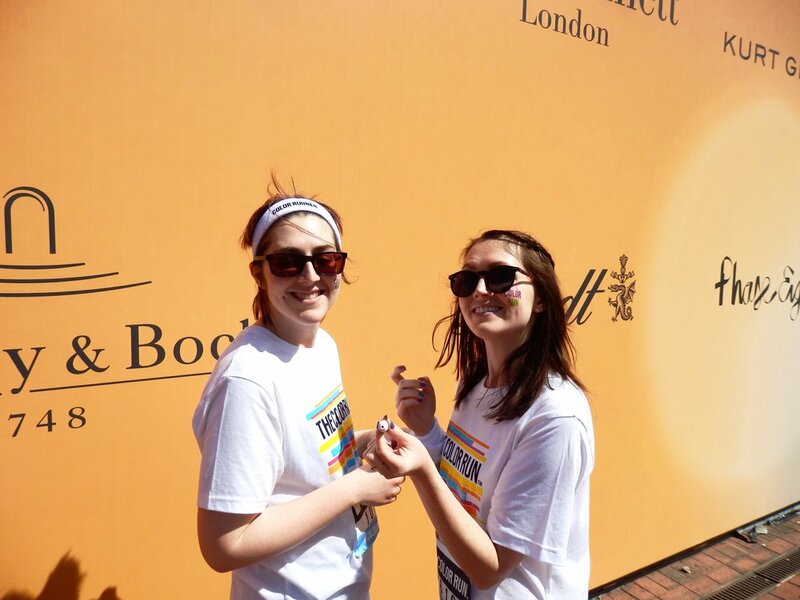 It may still be in the creases of my elbows and all over my new trainers but it was the best way to spend a sunny Sunday: sweating it out, feeling proud of completing the run and being covered in multicoloured dust like a gay cupcake. 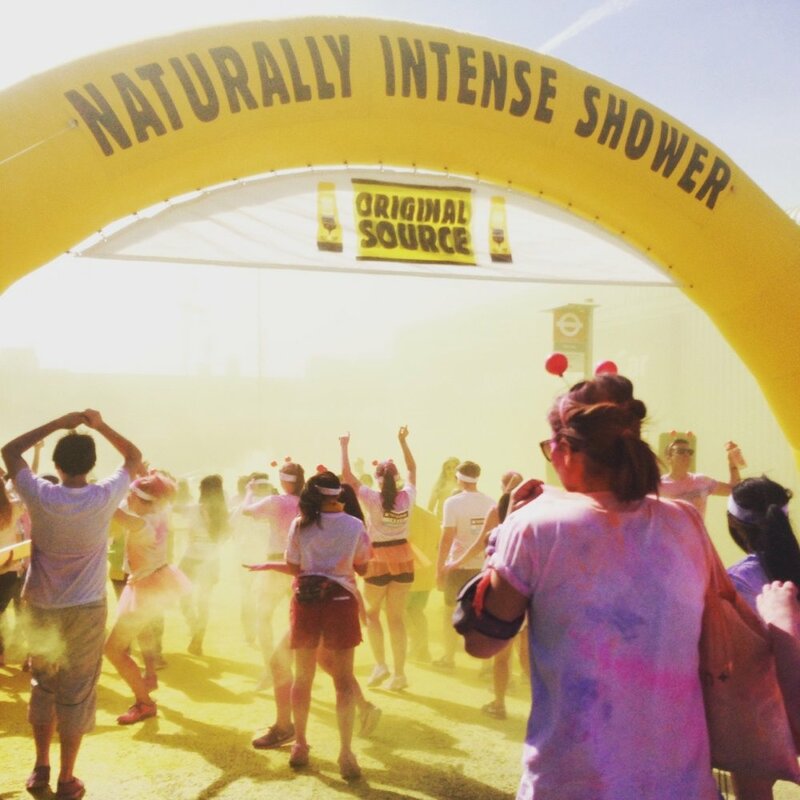 Next year: Colour Obstacle Rush?